What could be better than enjoying a delicious evening meal with wonderful friends and dear family and then end the evening singing praises to God? If all our family were to get together to sing, it would make for a great singing convention. We are blessed to have a wonderful christian heritage. All of Kristy's family loves the Lord as well as all my family. We could truly be a part of the Levi Tribe with over 30 ministers and spouses in our families and then many, many more who love God. 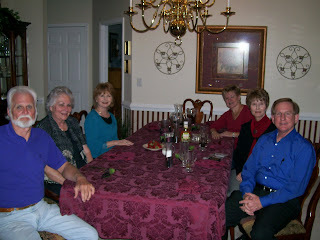 We have enjoyed sing-a-longs at Sonja and Emmett's home during past visits of Terry and Sandra with us. 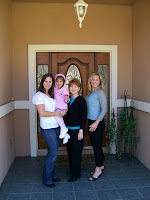 This past week Rebeca was able to join for a visit that included a scrumptious dinner and singing at their home. What fun we all had! Won't it be wonderful when all God's family gathers around the throne to worship Him and crown Him the King of glory? Kristy has a song of praise in her heart to God they won't stop. There is something about that name Jesus. 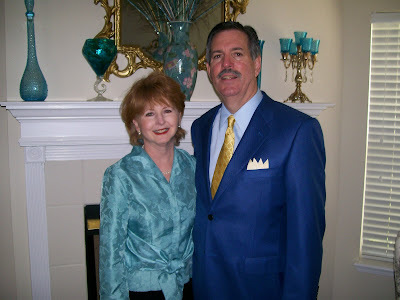 Sunday was a great day as we enjoyed the ministry of Terry and Sandra (Kristy's brother and sister-in-law). 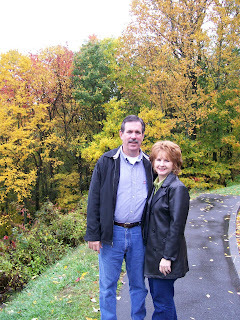 They have an anointed ministry that encourages and blesses people wherever they go. Sandra is an outstanding soloist and Terry is a terrific preacher. We pastor Kristy and Terry's home church where they grew up and where Kristy and I were married. Our church people love to hear Terry preach and Sandra sing. What a powerful team they are. Terry ministered from II Timothy today. He shared how Paul was faithful to the cause of Christ in spite of horrific trials. Paul fought a good fight and kept the faith. Terry gave us some handles to hold to when we face life's inevitable trials. It was a wonderful and very inspiring message. The video is of Sandra, Terry, Kristy, and me singing our one and only song entitled Happiness. Rebeca and Don, Kristy's sister and brother-in-law, usually join with us when we sing, but they could not be with us today. Their mother loved this song and had all of us sing it at most family gatherings. My camera ran out of memory right at the conclusion of the song so please forgive the ending. We have happiness all the time because we have found the Lord. Today we made a quick trip up to Fernandina Beach on Amelia Island with Terry and Sandra, Kristy's brother and sister-in-law. They have relatives there. 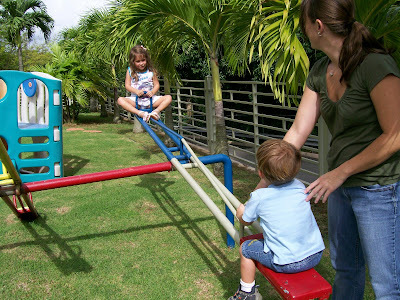 When Kristy was growing up, their mother would take her children to visit family and they enjoyed playing with cousins. Today, they pointed out places where they did things as children that brought back lots of memories. Childhood reflections of good memories are sweet to the mind—thoughts of good times with cousins and family, friends and those dear. They went swimming and got ice cream cones. 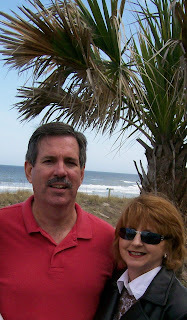 They played childhood games, and enjoyed quaint Fernandina Beach. 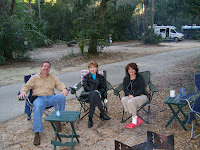 A couple of years ago Kristy and I went to Fernandina for a two day get-a-way and stayed at the Florida House Bed and Breakfast Inn. It is the oldest operating hotel in Florida. That trip was one of the most enjoyable times we have ever had as a couple getting away all by ourselves. 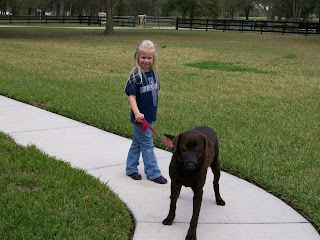 We left all our cares in the drive way of our house and didn't give them a thought until we returned. We rode a moped all over Fernandina. When we first got on it, Kristy said, "Slow down. Slow down." I said, "If I go any slower, we'll fall over." Ha. I guess she wasn't so sure of my motorcycling abilities. It would only go about 34 mph. Not much speeding going on there. After a moment or so she got used to how I was driving and off we went making more cherished memories. We've had so much fun together. Life has been good to us. Life is filled with surprises. Every day brings new opportunities and new ventures. There are also new trials that come our way. A few weeks ago at our house it seems that every time I turned around something was breaking down and needed to be repaired or replaced. Our car transmission needed work. The air conditioning system had to be replaced. The hot water heater started leaking and had to be replaced. The garbage disposal quit working. We had a problem with our dish washer. The TV had a line weaving across it. A light bulb over our office desk went out and cost $20 to replace. One bulb--$20. If it weren't for bad luck, I'd have no luck at all! Not! A thousand times, Not! I don't believe in luck. I believe in the goodness of God. The good news is that God was doing many good things in our home all during the time we faced these challenges. However, I will have to admit it wasn’t much fun dealing with all the breakdowns. But that’s life. Life is going to have unexpected challenges. I am thankful that God is not surprised when issues arise. He knows all and is well prepared to help us through whatever comes our way. Yes, the challenges are often unexpected, but they are never news to Him. The really good news is that He will help us every step of the way. He will take all things and work them for our good. We can grow stronger through unexpected challenges as we truly rely on Him. Certainly we gain compassion for others who are dealing with similar problems. If you’re facing an unexpected challenge, look to God. He loves you and will help you. He has and is helping Kristy and me. He is faithful. This journey has taken so many unexpected turns. Kristy has exemplified Christian virtues that stands the trial of faith. She has lived her life with eternal purpose and faith filled trust. Through the transitions of life, ministry, and now the trial of health, she has and is standing strong with a determined commitment to honor Christ. It is hard to watch your dearest, closest friend struggle and not be able to do all the super women things she has always done. But she goes at the pace she can and trusts God with the rest. In our devotions this evening, Kristy gave thanks to God for all His faithfulness to her. She thanked Him for all her family, dear friends, and new friends who have prayed and stood with her. She asked God to use this trial to bring glory to His name and to help others. 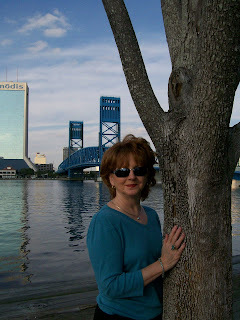 Kristy is standing in the strength of God and yielding to His will and way. This has been her manner of life for all her life. That's how you keep the faith. Kristy, here: Thank You, Lord, for all you're doing. I trust and rely on you. How faithful You are to me. Milton, here: My mind has been thinking about dreams, disappointments and destiny. Kristy and I have had many dreams that have turned into reality. Dreams of ministry. Dreams of family, dreams of a beautiful homes, dreams of writing, dreams of touching lives. Some of our dreams came easy, but some have been like pulling teeth. Our dreams have been shared dreams. We have dreamed together. We have worked together with each pulling and pushing to accomplish God's call on our lives. Kristy, here: Through it all it has been a good life. And there is more ahead for us. I can't wait to see what God brings about. 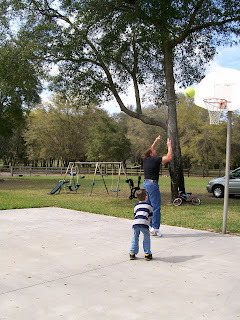 Milton, When we first received the diagnosis of stage four brain cancer, I was crushed. It hurt beyond expression to see your pain and suffering. My mind and heart ached knowing the attack against your body, your dreams, our dreams, our destiny. Kristy, But I sat there like a newspaper reporter asking questions and getting information. The most important question I asked the radiologist was, "What will this mean for me?" He said that I had a limited amount of time left to live. I sat there as calm as a cucumber, as we say in the South, and I sat there taking notes on the information. "I have delivered this information", the radiologist said, "and I have never seen anyone receive it like this." The three nurses said the same thing. They had such surprised looks. But then their expressions turned to ones of marvel. Milton, I was wiping tears and stunned. My expressions turned stone. It was unbelievable. Surreal is the word. Kristy, As I have said before, a cloud dropped over me and gave me peace and a chair slid beneath me and gave me support. I wasn't afraid. I wasn't fearful. 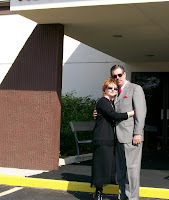 Milton, As we drove out of Mayo Clinic, it was like our journey in life had made a swift, hard, dramatic turn. Our dreams were laid bare. Disappointment overwhelmed me, but our destiny was yet unfolding. Jennifer told me that recently she called for her daughter Claudia to come to her. A few moments passed without Claudia and Jennifer called the second time. Finally the third time she called and Claudia responded as she looked in the mirror prissing as little girls do, "Just a minute, I'm talking to myself." Do you ever talk to yourself? Try it. Claudia is one happy little girl. Julie was home with us for Easter along with Alex and Nic. They are so special to us. We love them all so dearly. NOW THAT IS ONE SHARP COUPLE ALL DRESSED UP FOR A HAPPY EASTER! HE IS RISEN! THERE WILL BE A TOMORROW. These past months God has worked new dimensions of understanding in our lives. Kristy's trial dealing with this GBM brain tumor has been tough, but God's grace has been poured out on her and us. I have marveled at her joy and peace. There is so much to learn from her through this journey. God made us and put within us a unique gift which daily affects each of us. The use of this gift produces blessings or curses, good fruit or bad fruit, joy or bitterness, rewards or disappointments, eternal life or damnation. Life is not the sum of what happens to us, but rather life is the total of how we use this special gift from above. God doesn't skip anyone when He passes out this gift. He does not give small or great amounts of this gift—we all get the same. Your life may be rotten, but this gift opens the way to a better existence. Or, your life may well stay the same or worsen. Blame isn't included in this gift package. Neither is there a free pass for anyone. Everyone must use it—like it or not. Action or inaction—the gift is manifest. It creates good days or bad days. It leads to poverty or riches. It releases health or sickness. It assures love or hate. It produces destiny or doom. It promises significant results to all. It has short term and long term consequences. Choice is the exponential gift. Life boils down to choice. It's God's second best gift--only the gift of friendship with Him exceeds it. How will you choose to deal with ……....? Kristy has chosen to receive God's cloud of peace and a chair of strength. She has chosen to live her life to honor Christ and His eternal purposes. She has chosen to be her best for Jesus. By the way, I re-shot this video and Kristy did it perfect, but this one was too cute not to share. 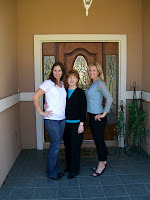 Our daughter Jennifer wrote this on her blog recently. 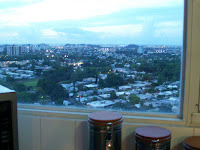 She lives in beautiful San Juan, Puerto Rico, on the twenty-second floor in the condominium pictured in her article below and the two other pictures look out her kitchen window. 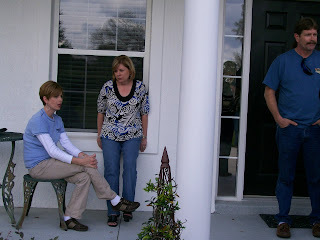 We made a trip last October to see Jennifer and her family. 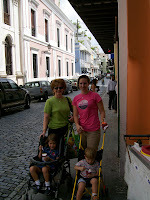 What fun we had in old San Juan! 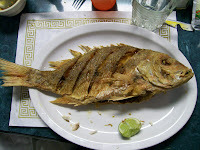 That was one delicious Puerto Rican fish I ate! God is so awesome, so good to me! I just spent a wonderful week with my mother. The kids and I got to spend quality time with her. I know this time was a gift from God. He's so good to us! My mom seemed almost her old self. She played with the kids, bathed them, fed them, read to them, painted with them, sang to them. My dad took the kids to zoo one day so I could have some alone time with my mom. We sat around her kitchen table and talked and talked... things a mother and daughter who are best friends can talk about. I'll never forget her advice and words of wisdom. I wrote down some of what she said and I know I'll pull strength from her words. She quoted scripture, we prayed together, we praised God together. To be honest I was a little nervous about this trip. Afraid how I would react to her. Would I cry at odd times? Could I hold myself together? Would it be painful seeing her, all the while knowing this could be the last time we... eat at Red Lobster together, go to Starbucks, attend church and worship side by side. 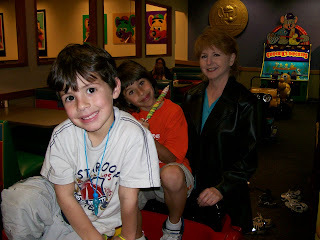 Would this be the last time I saw her smile, read to the kids and best of all give me advice? When I was a teen her constant advice annoyed me, but she never gave up. She tucked little gems into my heart that I now use as a mother, wife, friend, and Christian. Sometime during the trip I felt the Lord speak to me. He whispered into my heart, "this isn't goodbye." I understand now what He meant when He spoke to me in November and I felt Him say "it's going to be OK." I didn't know then what that meant, how can my mom dying be OK? The Lord has impressed upon my heart to keep my eyes, heart and desires on heaven. This is how I am going to get through this. I'm not going to say goodbye to my mother, ever. For whatever reason she's being called home early, leaving us behind. Now is my time to respond to the call God had put inside my heart and continue to become the woman of faith He made me to be. It's going to be OK because death is not the end. It's a temporary separation. As long as I keep my eyes on heaven, the pain and fear fade away and joy creeps in! Then I think of my sweet Savior. I picture His face and call out His name and I feel such love and peace. It's hard to describe. I'm not going to run from my pain. I'm not going to hide from it and I'm not going to be afraid. I'm facing it side by side with Jesus and with Him it's not hard! Today was a full one. 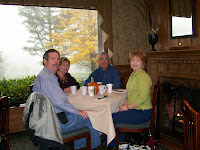 We had lunch and dinner with dear friends. Kristy has improved in many ways through the week though she is weak and struggles with short term memory. God has helped us and we are very grateful to all our friends and loved ones who continue to pray. May God bless each of you. We received a card signed by 21 members of Sunday School class in a Baptist Church in Marian County, Ala. We couldn't believe such love from folks we have never met. But that is the family of God in action. Cards come from all over written by unknown dear ones who reach out in love. Thanks to all who have sent cards, emails, letters, and entered comments on the blog. You are the best. By the way, did you know we have a cow that will moo in our kitchen? Not the impala. They don't moo. I don't know what they do. This video was made on Wednesday noon to show Kristy's whimsies. 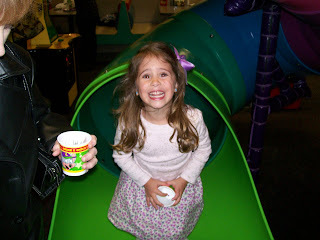 We have always had a barrell of fun laughing at life and creating humor along the way. There is healing of body and spirit found in a merry heart. So why not laugh a lot today. 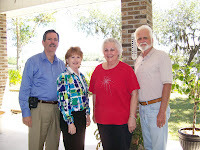 We had a wonderful visit with Terry and Sandra, Kristy's brother and sister-in-law from South Carolina. They really lifted Kristy's spirits. Hope you enjoy the video. Doesn't Kristy look great! Last week Kristy and I planned to write with each of us writing together alternating our thoughts on the same post. Now that seems impossible. 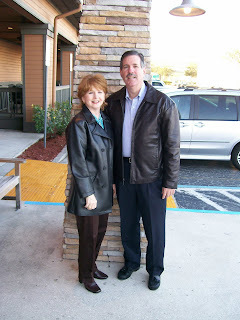 We have co-authored several published articles while driving the highways of Florida heading to ministry assignments. We feed off each other in many different ways including writing. One of us would have an idea then I typically would offer a few points and Scripture and then we both would add an illustration or two. She'd give it some pizazz with a catchy intro and would polish the thoughts. She likes her writings to simmer for another few days. Then we would edit and finalize our thoughts and send it off for publication. It was fun and yet hard work. Most people love to "have written" as Kristy likes to say quoting some famous author. Writing isn't easy and few people have the grit and gumption to get it done, but the computer keys fly when Kristy starts writing. I hope we can write together on this blogg again. There are many things in both of our hearts to be shared. Is there something you would like to do with your mate or friend that you just haven't found time to do? These pictures were taken on a get-a-way trip to the Smokies this past Fall with Norma and Ron, my sister and brother-in-law. We didn't really have the time to make this trip, but looking back, I'm so glad that we did. Life is short. Get to living while you can. She had a better day--not as sleepy or confused. 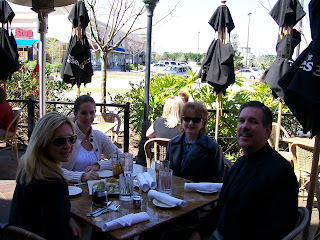 We were able to get out for lunch with Terry and Sandra, her brother and sister-in-law, who are here for a brief visit. She walked through the house praising God while lifting her hands toward heaven. "God is good. God is so good to me," she would repeat over and over. Faith and trust go hand in hand. While they are similar if not the same in definition, I see faith as expecting, believing, having bold confidence, and actively pursuing. Trust stands, holds on, patiently endures, and waits for the answer. They are more inter-related than these few words, but hopefully you see my intended connection. Our faith reaches out while our trust holds on. 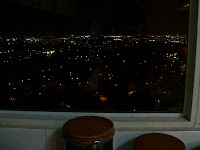 Last night we had to exercise both faith and trust as Kristy had a rough evening and night. This morning Hospice came back and will be managing her care. She is sleeping more and more and is confusing her words. But her spirits are high and her praise to God continues. Saturday evening we had a long talk like couples need to do in situations like we're in. It was frank as Kristy shared from her heart and I shared from my heart to her. Our lives have been full and we have been greatly blessed. We have many dreams and goals still within so this is really tough to work through. But with God's grace and help, we will make it. We are holding to the loving hands of our Lord for He has been with us every step of the way. Keep praying for Kristy and for us. God is yet working in our lives and in the process touching many other lives. Do we have faith in Him? Yes, we do! Can we trust Him? Yes, we can! This hurts, but remember. "God is good," as Kristy says. Look at the gull. He is at peace with not a worry in the world. God sees that gull and even more He sees and watches over us. This morning Kristy got up to get ready for church but just wasn't up to going. We had a full week and she isn't feeling quite as well as she has been. She told me that it literally hurt her physically to not be able to go. She loves going to church and worshipping God. Two beautiful twin girls came with their aunt Hope from out of town hoping to see Kristy at church. They understood when I told them that she wasn't up to coming, and I gave them some of her books. They were so concerned about Kristy and shared their love and prayers. Their presence and prayers encouraged me. God's people are the best. We have found new friends around the world who have faith and love. So many have prayed and believed for Kristy. Thank you for all your prayers for Kristy and for us. As I left to go to church this morning Kristy took my hand and prayed for God's anointing and blessing as I ministered. I felt her prayers at church as I preached. My Palm Sunday message was entitled A Servant Who Saves. I encouraged our people to follow our Lord's example as He served willingly, faithfully, obediently, and sacrificially. Kristy certainly has followed our Lord's model as a servant. Her hands are helping hands that are quick to reach out to others. She has always stood by me and with me. 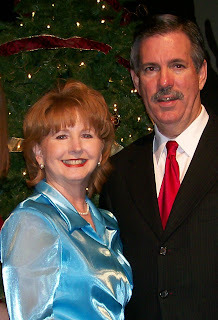 She is my partner in life and partner in ministry. Our journey together has been blessed and rewarding. We make a great team. Today I left early for a men's breakfast at the church followed by a work day. The fellowship with the men was encouraging as we looked to God's Word, sang, and prayed together. Then the work began all around our facilities. Mulching flower beds, cleaning inside, and maintenance repairs all were happening simultaneously. It was thrilling to see everyone pulling together to work at God's house. Work accomplished leaves such a good feeling inside. Kristy and I were married at this church. Her mother taught Bible and worked as a faithful member in Southside for almost fifty years before going to heaven. Her father grew close to God here and served Him here during his last years. Her siblings were raised in Southside. Her dear aunts and many other relatives have worshipped here. 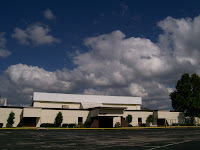 This place has deep special meaning to us, and we are honored to serve as pastors here. I have to tell you that there were a lot of feelings going on in me this morning as I hurried from place to place on our church grounds. There were so many wonderful precious memories that seemed to well up inside me. When I left this morning, it was hard for Kristy to stay home as she is usually right in the thick of things. She would be designing, decorating, directing, dirtying her hands, and doing all manner of duty. (Sometimes I write like a preacher trying to put together an acrostic sermon outline.) But her presence was felt and all the church members understood. They love her and are praying and pulling for her and for us. 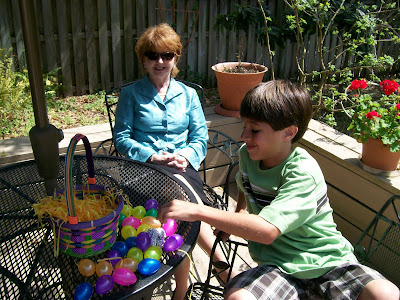 She had a ball with the grands and daughters, but she has been slowing some this week. She needs to rest more and is sleeping more. It is getting more difficult for her to read and write. That is hard on her, and to be honest, it really is tough on me watching her struggle. She has been so alive and strong. Please keep her and us in your prayers. 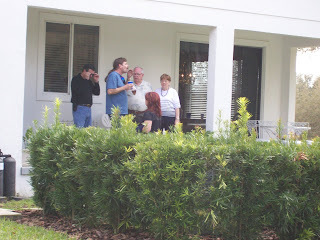 Thursday afternoon we took Jennifer to Orlando to catch her flight back to Puerto Rico. Then made a mad dash over to Tampa to spend the night with Julie and her little ones--Alex and Nic. 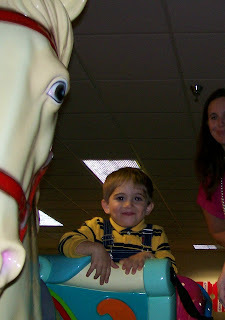 After a noon get a way with the boys at Chucky Cheese, we left mid-afternoon for a dash back up the state and home. Chucky is always a friend to hungry children. It was worth it all to enjoy the boys and our daughter Julie and to have just a few more moments of family time. When I was diagnosed with GBM brain cancer in November, 2007, God dropped what felt like a cloud above me and then slid a chair beneath me. 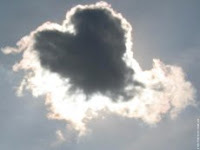 The cloud, to me represents the Holy Spirit, who brings comfort. The chair is Jesus, only I envision it as a large, solid chair, not the slipper chair, pictured. Jesus has the strength to carry you and sustain you. Where did the chair image come from? Missionary John Peyton was translating the Bible into a foreign language. He was stumped when he came upon the word believe. One day a man came into his house tired and weary. He plopped down in a chair and uttered a word. "Say that word again!" the missionary said. "What does it mean?" "It means, 'I'm putting all my weight on this chair!'" The missionary was ecstatic. That was the word he needed to help the people understand believing on Christ. I'm putting all my weight on Jesus. Can I trust him? Yes, I can. It's a treat to see our daughters, Julie from Tampa and Jennifer from San Juan. 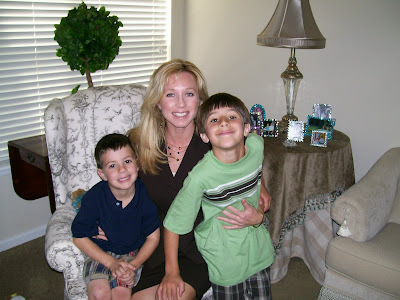 Jennifer brough her two children, and we'll soon see Julie's two sons. Our family, both our daughters and our siblings and Mom and Dad Dykes, have been a huge help to us during this time. 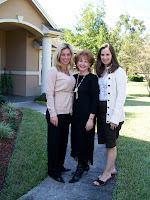 More of our family--our church--has also strengthened us with their love, help, encouragement. They've brought meals to our house since this happened in November. My eyes tear up thinking of their kindness and love. "God, You're so good to me!" 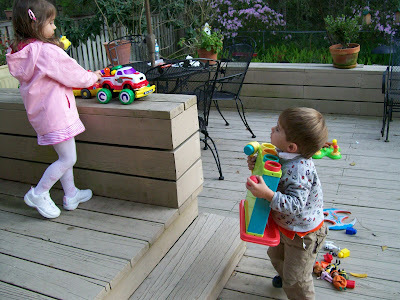 Claudia and Lorenzo enjoyed playing on our deck that faces the nature preserve. These azaleas are in a pale, magnificent pinkish lavender which Claudia loves. They don't have azaleas in Puerto Rico. She loves to pick them for me and bring them inside. We have a continuous bouquet when she's here. Kristy has been sharing God's peace and strength every place she goes. In a few moments of time, she tells how she was diagnosed with a brain tumor this past November, had surgery, 30 radiation treatments, and has been told by doctors that her live expectancy is short. (We are believing for a better prognosis.) Then, she mentions God's peace and strength that has helped her every step of the way and her trust in God's faithfulness. Eyes get big and then misty when she talks. Her faith has touched so many people. She has as always shared her faith, but now it has a new and powerful impact. Many have be touched and changed by her witness. The Apostle Paul writes in Colossians 4:5 (NIV) that we are to be wise toward those outside--"outsiders." He is obviously noting that there are outsiders so we can conclude there must be "insiders." The last part of Col. 4:2 reads "... make the most of every opportunity." (NIV) Paul is writing encouraging us to use every available situation to share the Gospel of Jesus Christ. We must redeem the time. Kristy is making the most of every opportunity to proclaim the "good news" of God's everlasting love. All believers have a testimony and should share it so that "outsiders" can be given an opportunity to come "inside." She is enjoying the girls and is doing great. I am posting at her request so she can spend her best time with the family. She will post again soon. The kiddies had fun at the zoo. The girls went for lunch and shopping and came back with home with stuff. I enjoyed the day with the little ones looking at all the animals and came home with a sunburn. It may not seem like much. But when I recount the last four months, it's a miracle day. I used to laugh at what I thought were old fogy grandparents. Not very smart on my part. How dumb can you get? Someone said, "Grandkids are the reward for not killing your own children." Not that I ever wanted to, but parenting certainly has its challenges. 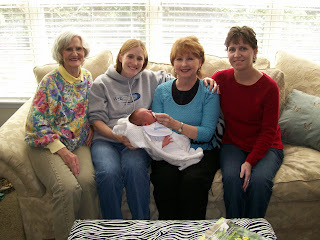 But now we have four beautiful grandchildren and wow are we proud of them! And we're very thankful for our wonderful daughters, Julie and Jennifer. What could be more fun than a huge hug from a grandchild? 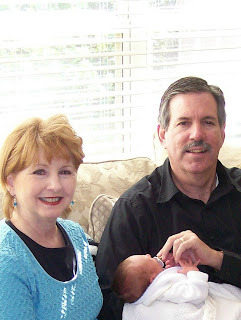 Our grands make Nana and Papa feel like the most important people in the world. What a pick-me-up! Late Friday afternoon, Julie and Jennifer arrived for a few days visit. Lorenzo and Claudia couldn't wait to get out of the vehicle to hug Nana and Papa. Alex and Nic will come for a visit later. They all bring great cheer to us. Kristy, as usual, gets right in the middle of their entertainment. 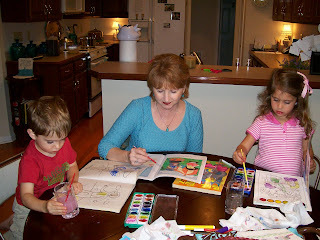 Claudia and Lorenzo wanted her to paint with them. 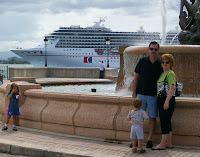 Kristy is feeling great and having a super time with them. God is good. Claudia and Lorenzo have both asked Papa to take them to the zoo. I've taken them a ton of times, but here we go again. What fun! Kristy and the girls will go shopping or something. I'll make more memories at the zoo with the kiddes. We are living in a surreal world. Kristy has been told she has a few months to live due to GBM brain cancer. She has recovered from brain surgery and is getting stronger after 30 radiation treatments which were so hard to overcome. We are trusting God and facing life one day at a time. Now she is having good days. She can't read as fast. She can't drive. Her thinking processes become labored as the day progresses. But she is perky, sassy, and right ready to get on with life. She has amazed me how she has faced all these issues. She has such a peace and joy. Today she was up around 5 AM and wrote most of the day on her book projects. She is slower but writes with great determination and commitment. 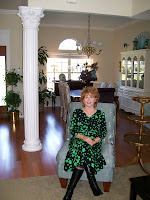 I wondered what she would change in her life patterns once she began to recover and knowing what the doctors have said? What would be different in her daily routine? How would she change? She really hasn't surpised me. She isn't doing anything different than she has done all these years. She begins every day with a commitment to be her best. I say that as a tribute to her and her faithfulness to those dear to her, to life in general, and most of all--to the Lord. She is truly one amazing lady. What would you do differently if you had been told that you had just a few months to live? That is a very hard question. If I am truly to supposed to say goodbye to the most wonderful man I've ever met, please pray that God would walk with me every step of the way and guide me there - and give me the words. and please pray that this man would only be drawn more to Christ thru all of this - not away. God bless each of you and I thank you for sharing from your hearts and lives. Thank you so much. We are praying for courage, wisdom, and love in all you do. God cares about you and your friend. The Lord will show you the way. Somehow I found your daughter's blog and your blog. and while my heart aches for you and your family in this trial of cancer...I am so encouraged by the things you write and share. I have fallen in love with a man who does not know Jesus. My heart is in pain. Do I trust Jesus and walk away from this amazing man, or do I trust Jesus and continue to tread carefully in this friendship? I am encouraged as you share your struggles - and although my struggle is different, I feel I am not alone. And as you talk about surrendering fear to Him, I am praying that I can do the same. Thank you for sharing your life, Kristy. Kristy: Thank you for sharing yours. Milton: The greatest joy in our marriage has been our shared faith. To have a spouse to believe with you and pray with you is beyond any treasure of this life. Kristy: To have a Christian husband who is "standing with me" (supporting me and helping me) through brain cancer is a blessing. And who has "stood with me" our whole marriage. Does that mean it's been a perfect marriage? A 100 percent happy marriage? (Aside: a joke: a man said, "I was happy one day and married the next! Haha) Has our marriage been a cavorting-through-the-daisies-together-marriage? A thousand times no. My philosophy is to work through your problems, if possible. And if he or she won't, kick him/her in the backside. Haha. Kidding! Seriously, marriage is tough enough without throwing a person of unlike faith into the mix. Select carefully. Milton: Don't go against what you know in your heart is right. Don't convince yourself of something that isn't true. Don't settle for less than God's best. Kristy: Wait for God's choice. I know that's hard. I know of many people who are doing that/have done it, and it's a tough spot to be in. I memorized Ruth Bell Graham's prayer-poem entitled "Let Him Be Like Thee" when I was a teenager. Mrs. Graham prayed it, believing God's choice for her, and God sent Billy Graham. I prayed it, too, and God sent Milton Dykes. Again, is ours a perfect marriage? No thing is perfect, and no person is perfect. But it's a solid, wonderful marriage. If you've read Mrs. Graham's books, you know she was candid about their relationship. She said there were challenges, but their commitment to Christ and each other helped them make it. Milton: Loneliness is not reason enough to go against God's Word. "Do not be yoked together with unbelievers..." (2 Corinthians 6:14, NIV). The burden on the other side of marriage exceeds the loneliness you may feel now. Kristy: I'm praying for you. My heart aches for you. People sometimes enter marriage thinking this man or woman is going to bring them happiness and fulfillment. No person, place, or thing can do that. "Only Jesus can satisfy your soul," an old song says, "and only He can give you peace, and make you whole. He'll give you joy you never knew, sweet love, and peace, and heaven, too, for only Jesus can satisfy your soul." Milton: Trust Jesus to bring the right person into your life. He will not fail. Kristy: Let the comments come...what's your advice? Opinion? Yesterday, I was in my office working. I have four completed novels I want to see published. A fifth is approximately one-third completed, and I want to finish it. Fear came on me like white on rice, a Southern saying. Which of the many versions of this story am I to use? I'd spent a year developing the story idea and a year creating the characters and plot while continuing to be published. But there are now five or six versions of this story with not only various openings but the way the novel is set up. Mentally, I writhed. Which version to use? How'd I get to this place anyway—the only story that took this path? Many opinions. Writer friends. A hired profession editor. More people in the business. Remember, my mind whispered, you don't have the stamina you once had. Before, you wrote eight and ten hours a day and felt only exhilaration not exhaustion. What are you going to do? I can't do this. This is too hard. How do I choose the best version? It requires in-depth study and comparison and cutting and pasting and blending. Can I do this? No, I can't. And then…and then…I heard the verse I quote all the time: "I can do all things through Christ who strengthens me." Then I heard the words of the woman at The Healing Rooms in December: "Will you renounce fear? Will you repeat a prayer with me?" and I prayed the prayer she asked even though I had no fear at the time. I'd had no fear on the day of the dire diagnosis in November: you have GBM brain cancer, stage 4. That day, a cloud of peace had descended and never lifted. But yesterday, fear gripped me. I was in anguish. Tears flowed. "You will have no fear," she had said. "And, I can do all things through Christ who strengthens me," I said, hugging the words to me like I'm going to hug my daughters this week. Suddenly the fear left. "You will get this done," Jesus whispered. "I will help you." "Do not be anxious about anything, but in everything by prayer and petition, with thanksgiving, present your requests to God. And the peace of God, which transcends all understanding, will guard your heart and your mind in Christ Jesus" (Philippians 4:6,7, NIV). I tried to find a picture in my files depicting fear or gloom. But I couldn't. I always smile when the camera is aimed at me. My mother always said everyone looks better that way. :) I decided on a picture of peace. 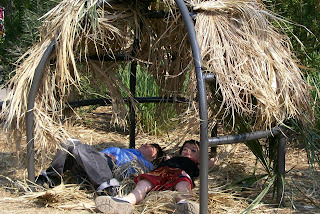 Our grandsons Alex and Nic built a fort at the zoo, working like Trojans, then lay down enjoying it with smiles on their faces. What a wonderful weekend you had! And you look so beautiful. There's nothing like being with family members, who obviously love you so much. Just wanted you to know that Ken and I are praying for you and Milton, and for your family. We're expecting great miracles from God! 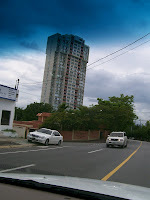 You must write your own love story, because nothing I've ever read is as sweet and glorifying to God as you and Milton. It also meant so much to Ken when I told him you had watched the movie he produced, Amazing Grace, at your church. Kristy, you are truly amazing. God must smile at your every word and move! Please let us know if there is anything we can do for you and Milton. 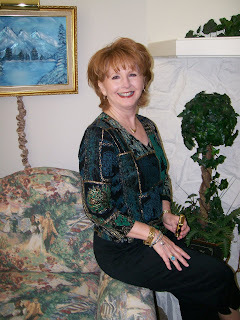 Kristy, here: Susan Wales is a talented author who writes fiction and nonfiction. She's a speaker and teaches at writers' conferences. Milton and I had the privilege of meeting her and her husband at Blue Ridge Writers Conference. Her husband Ken Wales is an author, too, as well as a movie producer--lots of them. He produced the recent movie Amazing Grace. What a movie! It was captivating, powerful! He produced the TV series Christy. We owe him a great debt for bringing Christy to us. 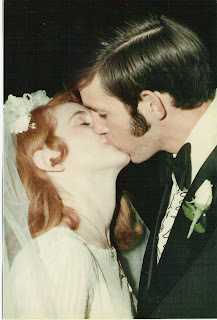 In Susan's comment in the Comments Section, she said, "You must write your own love story, because nothing I've ever read is as sweet and glorifying to God as you and Milton." Thank you, Susan. That's a confirmation of what I'm feeling. And like you, many are saying that. Interestingly, one of my completed "prepublished" novels is based on our love story. In my story, the couple is naive and innocent, and there's pathos and humor, too.. It "makes readers laugh, cry, and wait." 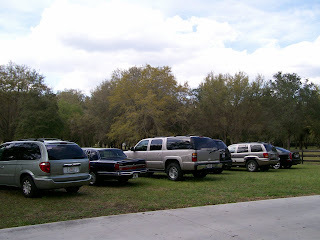 The cars kept arriving Saturday for some horsin' around at Milton's sister Tricia and husband Rick's beautiful home in Central Florida--Milton's five siblings and parents came from North Carolina, Georgia, and various places in Florida. 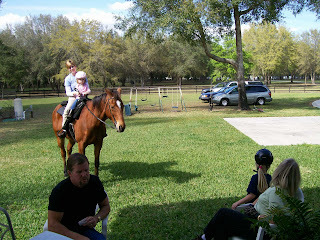 We had some good eating, as we say in the South, and we talked and joked and laughed and rode Tricia's horses. 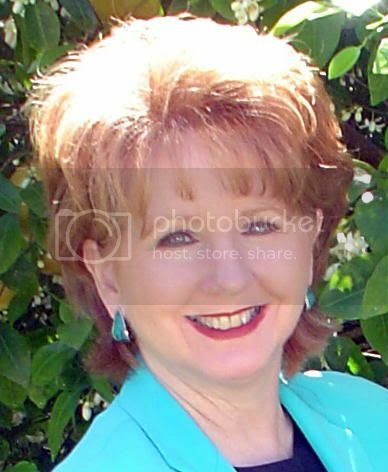 Tricia is a first-grade school teacher (over 25 years), a dedicated pastor's wife, and has three children from college age to five years old. Surprise, surprise, as Rick says. 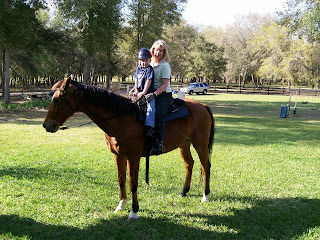 :) Gonzo, below, is an Argentine thoroughbred. More horsin' around on Saturday. Our family has a great sense of humor. 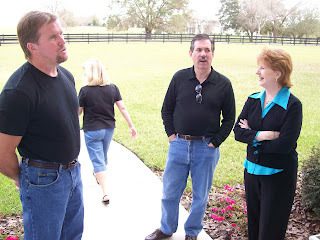 They are teasers, and Janet, pictured sitting and talking to sister Norma and flanked by brother Max, is the biggest teaser of all, though Tricia runs a close second. The Bible says, "A merry heart does good like a medicine." The laughter was healthy and strengthening. Did you know you can increase your humor quotient by recognizing the funny things in your life and laughing about them? Reading joke books is healthy, too. I have quite a collection. My aunt and uncle used sit in the evenings and read aloud joke books to each other. So healthy.